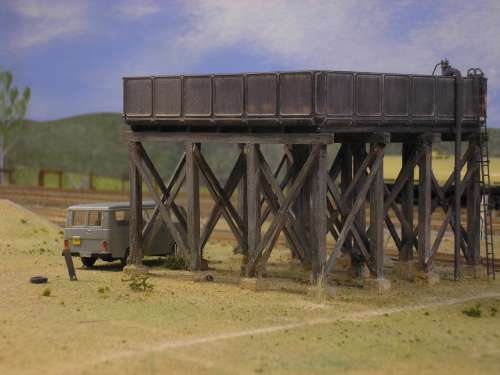 The following article by Peter Lewis and Gary Walters describes the highly acclaimed layout, Time and Patience. 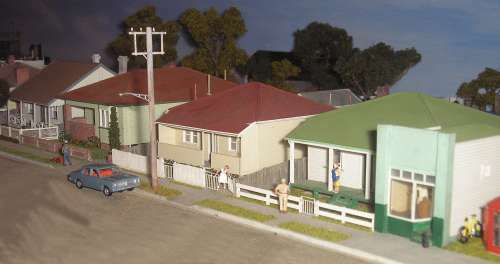 It was the effective use of automatic colour-light signalling that won this layout the MODRATEC Signalling Prize at the Brisbane Model Train Show in 2008. © The content of this article, including the superb photographs, copyright 2009 Peter Lewis and Gary Walters. Send email for Peter Lewis and Gary Walters via MODRATEC. 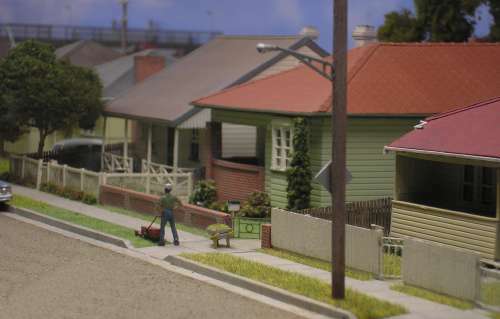 An exhibition layout based on a fictitious town on the southern outskirts of Newcastle, NSW. 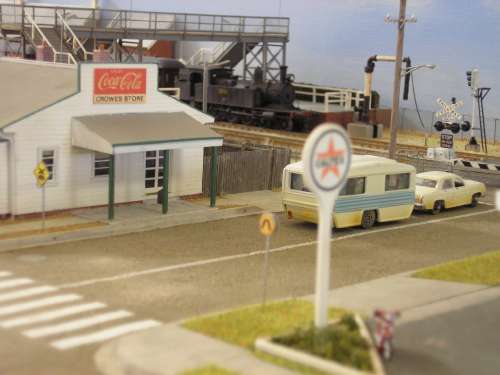 Consisting of rural, rail and residential buildings, brought together to create a realistic diorama. 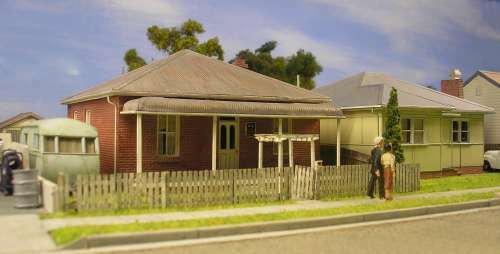 All structures and buildings are replicas of existing buildings. 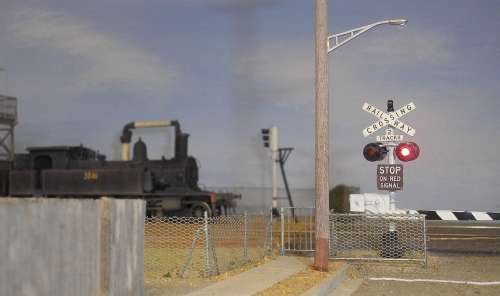 The structures and associated detail have been scratch built from photos and measurements obtained from individual properties. 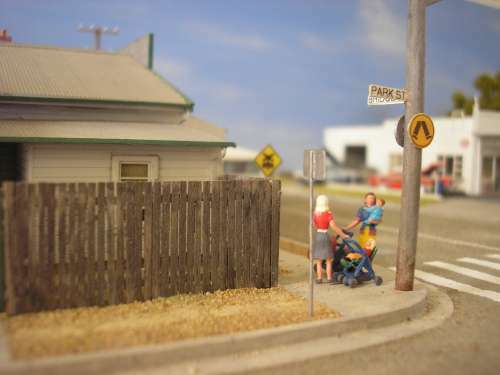 The signals and level crossing warning lights are hand made. The signals are 3 aspect, using LEDs and photo sensors for signal operation. 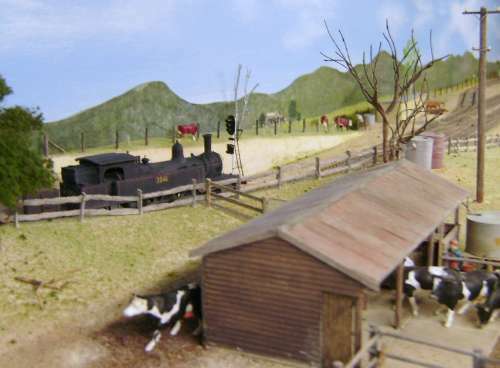 The control circuits are from Ken Stone's "Electronics for Model Railways" Book 2. 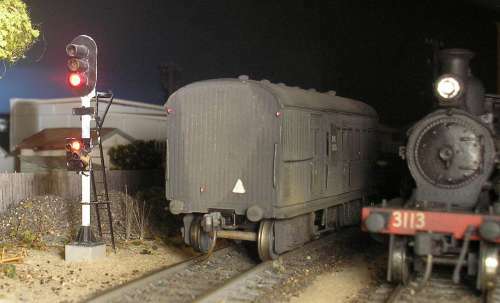 The addition of operating signals and warning lights adds to the realism of the layout and another dimension for the viewer.